@nithin , @siva not able to exit , my executed option position on “KITE APP” I AM FORCED TO USE KITE WEB , ANY SOLUTIONS??? This could happen with weekly options. Update your Kite mobile app to the latest version. That should fix the issue. You 'll be able to download it [Kite v2.1.14] from Play store (android) or App store (iOS). 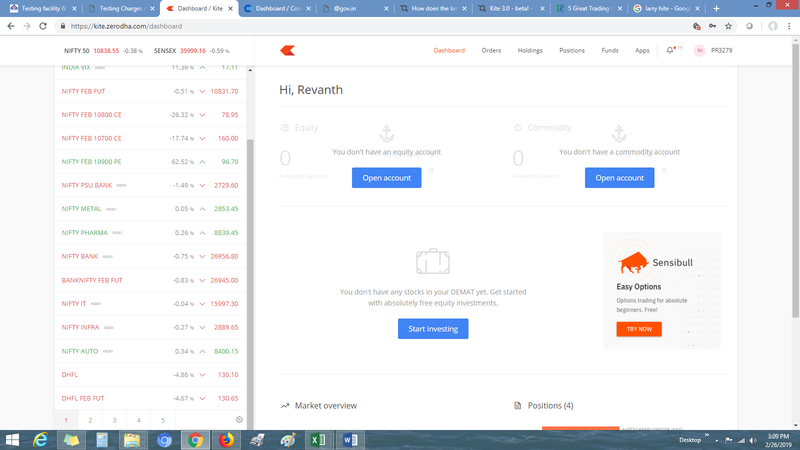 The current UI of Zerodha web has a lot of white-space that can be reduced to increase the amount of information on a single screen. I think there should be an option to increase the density of the UI. Maybe put in three settings - that the user can select - so that everyone is comfortable depending on his or her monitor resolution. Currently I’m already using add-ons in my browser to increase the density, but I feel this is something everyone would benefit from. I’m not sure if this is the correct place as I could not find a separate thread for Kite web. I din’t get it, can you write to me @ tsiva@zerodha.com in detail, please, screenshots if any would help. can u please tell me why sometimes kite shows the following? Will check this, can you refresh and check when it happens next time. I have refreshed and checked. Nothing happens for few minutes even after refreshing and comes back to normal if i refresh after few minutes. Happens with me many times specially near time of 3:20 . Also today morning I faced problem while placing order , was showing something as server problem.Is it problem from Zerodha’s end? When my order didn’t get filled at my price at 9:16 am, I clicked “cancel all” but it didn’t get cancelled still i tried few times but… and my order got filled and it was going against my position and i tried to square off but Pi freezed. So did 26800PE for some time. Yes till 10 minutes from market opening , were not going properly,margin display also had problem.I would guess this was again due to market volatility. 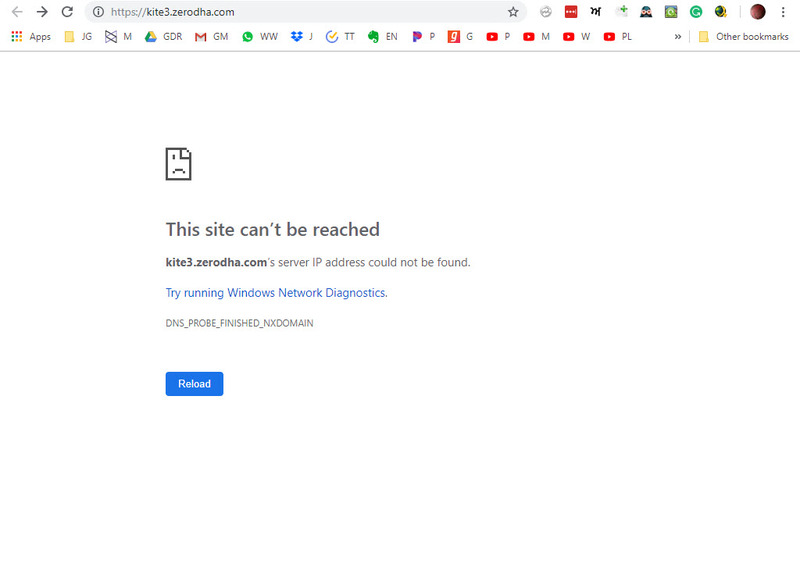 DNS Lookup is failing for Kite 3. What is ur app current version? That is latest version, beta released only for internal employees, will soon release out for others. Ok, can you message me your ID. Dear @siva , In the meanwhile i got a notification on my mobile by kite , because of that i am able to login , i used it till 3.30PM , after logout out , i getting the same Update message and not able to login , probably i have to wait till another notification from Kite App !! !